With the State government giving its nod, the development of start-up area is expected to kick off shortly. 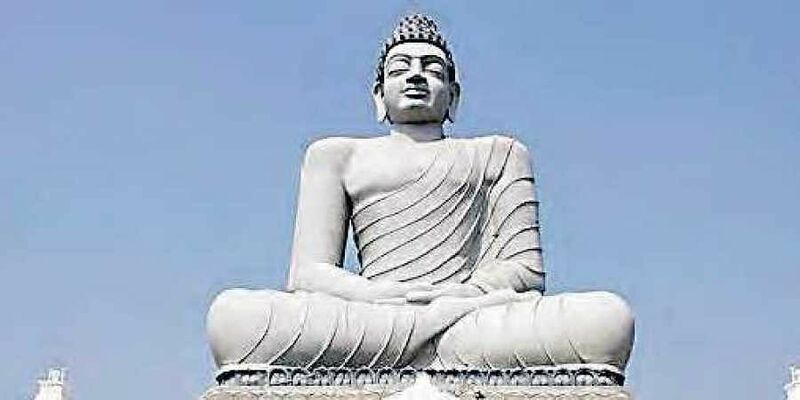 VIJAYAWADA: In what could give a fillip to the development of start-up area proposed in Amaravati, the State government has given a clearance for infusion of capital equity into the Amaravati Development Partners (ADP). In the first phase, about Rs 124 crore will be infused into ADP, which consists of the Singapore Consortium -- Ascendas-Singbridge and Sembcorp Development -- and Amaravati Development Corporation Ltd (ADCL). While the total estimated capital equity infusion is pegged at Rs 528.30 crore, to be pumped in over the next 5-10 years, the ADP will spend Rs 124.02 crore for preparation of master plan for the entire 1,691-acre-start-up area, architectural plans for the catalytic area proposed to be developed in 50 acres, and design and construction of the world-class ‘Welcome Gallery’. “We have sent the proposal for capital equity infusion last month and got the necessary clearance for the same a couple of days ago. Since ADCL holds 42 per cent stake in ADP, the State government, through ADCL, has given a green signal to invest its share of Rs 52.09 crore,” a senior official from ADCL told TNIE. The Singapore Consortium, through its joint venture entity Singapore Amaravati Investment Holdings (SAIH), will invest Rs 71.93 crore. 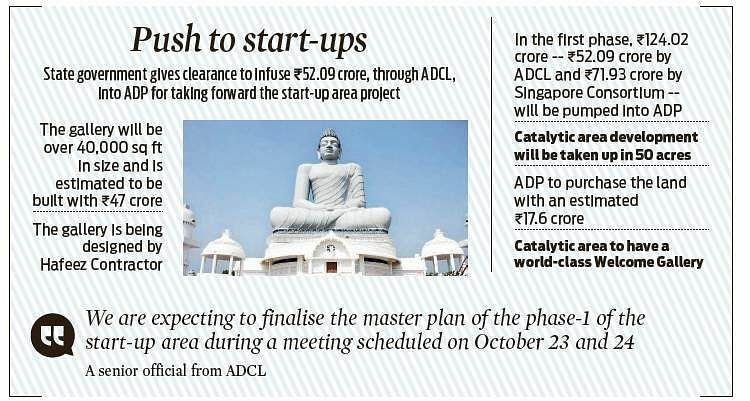 With the State government giving its nod, the development of start-up area is expected to kick off shortly. ADCL CMD D Lakshmi Parthasarathy exuded confidence that the works are likely to be launched by the end of this year. In the meantime, the ADP has already brought on board the architect for the design of the proposed Welcome Gallery and has also zeroed in on the consultant for the preparation of the master plan of the first phase of start-up area. “Noted architect Hafeez Contractor is designing the world-class Welcome Gallery and Surbana Jurong is in the process of conceiving the master plan. We are expecting to finalise the master plan of the phase-1 of the start-up area during a meeting scheduled on October 23 and 24,” the official explained.